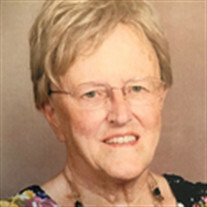 Obituary for Alice Mary Nederhoed | Langeland Family Funeral Homes, Inc. Passed away Wednesday, May 2, 2018. Alice was born March 6, 1936 in Westerbork, The Netherlands the daughter of the late John and Grietje (Veldman) DeLeeuw. She was a member of the Kalamazoo Protestant Reformed Church and enjoyed quilting. She is survived by her children, Hank (Jennifer), Maggie (Kevin), John (Shelley), 9 grandchildren, Jessica, Eric, Trent, Lauren, Keith, Katie, Chris, Savannah, and Anthony; a great-granddaughter, Reagan; brothers and sisters, Ger, Ria, Ruby, Jans, and Nico; and several nieces and nephews. Alice was preceded in death by a daughter, Joyce; and a brother, Jerry. Visitation will be held from 4-7pm Friday, May 4 at the Langeland Family Funeral Homes, Westside Chapel, 3926 South 9th Street. A memorial service will be held at 11:00am Saturday, May 5 at the Kalamazoo Protestant Reformed Church, 4515 Greenacres Dr. Memorials may be directed to the Kalamazoo Protestant Reformed Church. www.langelands.com.